| SABMag Canadian Green Building Award 2018 for the Langara College Science & Technology Building! SABMag Canadian Green Building Award 2018 for the Langara College Science & Technology Building! 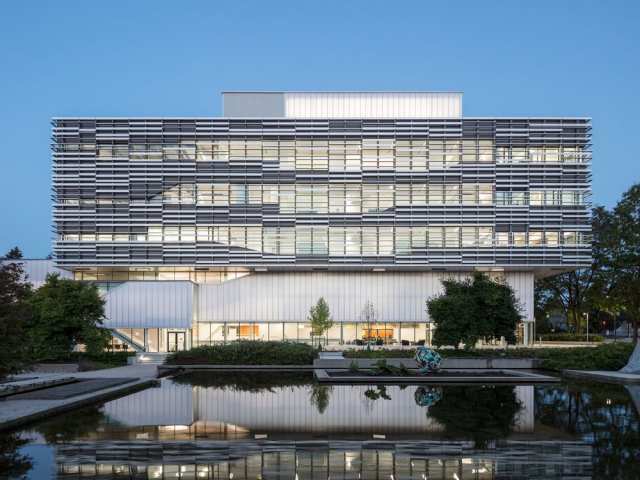 The Langara College Science & Technology Building has received a SAB Magazine Canadian Green Building Award in the category of Institutional [Large], and we couldn’t be prouder. This project is notable for its planning, with a six-storey atrium that functions not only as a light and ventilation well, but also as a social incubator that reinforces the academic program. The quality and quantity of natural light is extraordinary for a laboratory building of this type, and the energy performance is also exemplary. The project also creates a striking new landmark for the college.